The phrase “Garbage-in/Garbage-Out” (GIGO) is commonly used to describe failures in human decision-making due to faulty, incomplete, or imprecise data. While this expression predates the computer age, the term can still be applied. Some things just never change. In the world of financial planning and investments, the reality is that we cannot control the future outcomes in the macroeconomic environment. The most we can do is make the best day to day decisions that we can make in the present to influence the probability of positive future outcomes. The simplest way to do this is to avoid making stupid money mistakes. You must BELIEVE that you can be financially successful too. Also, you need to get a better understanding of how and why money works and which tools to use for specific jobs. You must become more cost and tax efficient with your financial tools and assets. Finally, you must take ACTION and maintain your focus on PROVEN PRINCIPLES that actually work. One of the biggest mistakes that I have seen people make is to compare their portfolio against a traditional benchmark like the S&P 500. It just doesn’t make sense to try to keep up with an unmanaged, no-cost index that has no relevance to your personal investment objectives. The best thing you can do for your portfolio is to quit benchmarking it against a random market index that has absolutely nothing to do with your goals, risk tolerance or time horizon. Since we often look at past performance to estimate future returns (something that every investment prospectus warns against), we end up making illogical forecasts that have very little chance of turning in our favor. Most people end up taking on more risk than is necessary or delay their planning which then makes them take more risk in order to reach their goals. The only benchmark that should matter to you is the annual return that is specifically required to obtain your savings or retirement goal in the future. I hate when the television charlatans throw-out meaningless advice that only confuses people sincerely trying to do better with their money, especially when the pundits didn’t accumulate their wealth by investing. For example, Suze Orman (touted as America’s most recognized personal finance expert) spews garbage out of her mouth professing that if a 25-year-old puts $100 into a Roth IRA each month, they could have $1 million by retirement. First of all, many young people are struggling with finding a good-paying job or severely burdened with college loans to be able to consistently save money for something 40+ years away! Furthermore, it not that her math is wrong, it just requires the 25-year old to achieve an 11% or so annual rate of return (adjusting for inflation) every single year for the next 40-years! Despite the bullish advance from the 2009 lows, the compounded annual total return for the last 18-years remains below 3%! Also, once the impact of inflation and taxes are included, the outcome becomes substantially worse. She also fails to mention that WHEN you start your investing, and more importantly WHEN and HOW you make withdrawals, has the greatest impact on your future results. We don’t automatically get to start at some theoretical low point and begin making withdrawals in a peak market that never declines! Finally, why in the world would anyone ever listen to somebody that didn’t make their fortune by investing? Ms. Orman has been touting her “expert” financial advice for 35 years. Do you really think that Suze made her investment fortune by the time she was 32? This is a prime example of GIGO. It will derail your best-laid plans if you base your decisions on that garbage. Using faulty assumptions is the linchpin to the inability to meet future obligations. By over-estimating future returns, retirement projections are artificially inflated which makes you erroneously estimate the required saving amounts you need to make today. Is it any wonder that many people are woefully underfunded in retirement? In the real world, the primary focus of financial planning is to create multiple options that can give you “choices” for the most advantageous use of your money based on the circumstances at the time you need it or ultimately transfer it to your heirs. Where you are in life and where you want to be in the future ultimately dictate the money decisions you should make. The wealthiest 1% of the population calculate the highest and best use of specific assets and then make a decision to buy or sell based on that calculation. 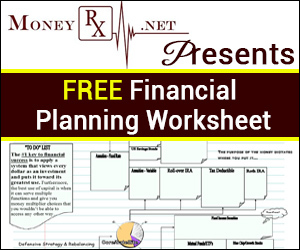 Therefore, when trying to decide what financial products make sense to use in your financial plan, you just need to copy the characteristics that the wealthiest 1% of the population use in their plans and apply them to your own situation! The features of the products you purchase should have characteristics that make it easier to reach your goals. You want to have products that you can systematically contribute money into but still have money available when you need it. You need to minimize taxes on those contributions whenever possible as well as minimize taxes on the distributions of your accounts. Your money sources should be protected from loss due to death or disability. 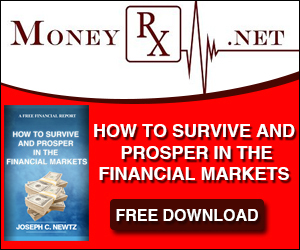 You should strive to earn a superior return on your money while minimizing potential losses. Finally, you need to have flexibility to make changes during your lifetime. In other words, the purpose of the money dictates where you should put it. Any financial decision you make must be considered thoroughly because of the impact that it has on your whole financial picture and how it may affect other assets you own. When building wealth, you must put every dollar towards its greatest use and optimize the performance of each financial asset that you own. The characteristics of the ideal financial plan can continuously be recycled during any phase of your life. If something happens in your life and you get off-track, you can simply recycle the successful concepts and characteristics to get back on course. You can study other financially successful people and learn what they have done to become wealthy. Remember, there is no specific dollar amount that makes a person wealthy. It is a mindset and a lifestyle choice. While the media “experts” often make everything seem complicated, it doesn’t need to be that way. It is imperative to understand the rules of the game before you get in the game because the system isn’t set up specifically for your benefit. The system is set up by corporations whose number one priority is to maximize profits for the shareholders, not for you. When you are looking for answers, consider the source. You should be looking for resources that talk about solutions to crucial investment issues like: how to increase savings rates when markets don’t give generous returns, why to factor-in future inflation rates when planning for retirement, where to find tax-favored investments that also generate tax-free withdrawals, how to create multiple sources of retirement income so you are not held hostage by portfolio drawdowns, and how to realistically forecast future returns based on variable rates and not compound rates of return. Are these tough questions to ask? Yes, indeed. But the answers to these questions and any other inquiries that you have about making decisions that affect YOUR goals and objectives are the most important—not the random bits and morsels handed out by the media. Sometimes, you can learn from your mistakes and get better. However, it is easier to learn from other people’s mistakes. There is enough information available to you regardless of your present means. You can easily develop a set of rules or guidelines that other successful people have used and apply them to your own situation. It all starts with the realization that the purpose of money management is to manage the environment that you CAN control and give yourself options to make money in any economic environment as well as to have money available whenever you need it. If you continue to get smarter about money, you will process less garbage in your head and you will increase your odds of becoming financially successful.